Everyone who sees, much less tries Swingbyte 3D swing analyzer, really likes it using words such as, “neat” or “amazing.” The reason is simple and so is its use. Attach Swingbyte to a club shaft just below the grip and swing. Data and graphics describing the swing, including club head path and swing plane, can be seen at once on a tablet or smartphone. 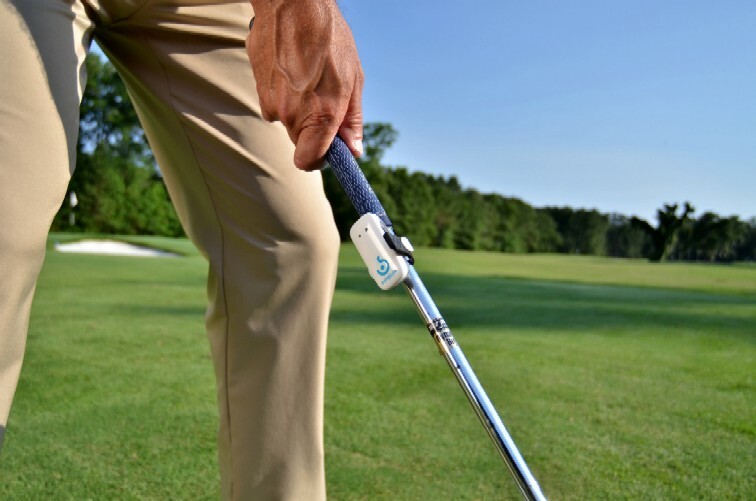 Key fob-sized, weighing less than an ounce and using mobile technology, as the club makes contact with the ball the Swingbyte sensor transmits a digitized version of the swing to Apple and Android smartphones and tablets for viewing or archived in the cloud for future reference. With the information Swingbyte makes available – club head speed; the club’s true plane, from address to impact; club face angle relative to swing path; loft and lie at address and impact; angle of attack and tempo – golfers can pinpoint swing problems which then become grist for the mill of practice. Equally significant, Swingbyte also is a vital addition to the personal instruction teachers provide, giving them on the spot information. The $149 introductory price includes the Swingbyte unit, the smartphone app and access to premium online content and service for one year which eventually will cost $49. There are extra cost options available such as historical data storage, upgraded instruction and the capability of sending data to instructors for review. The unit may be ordered at Swingbyte.com.